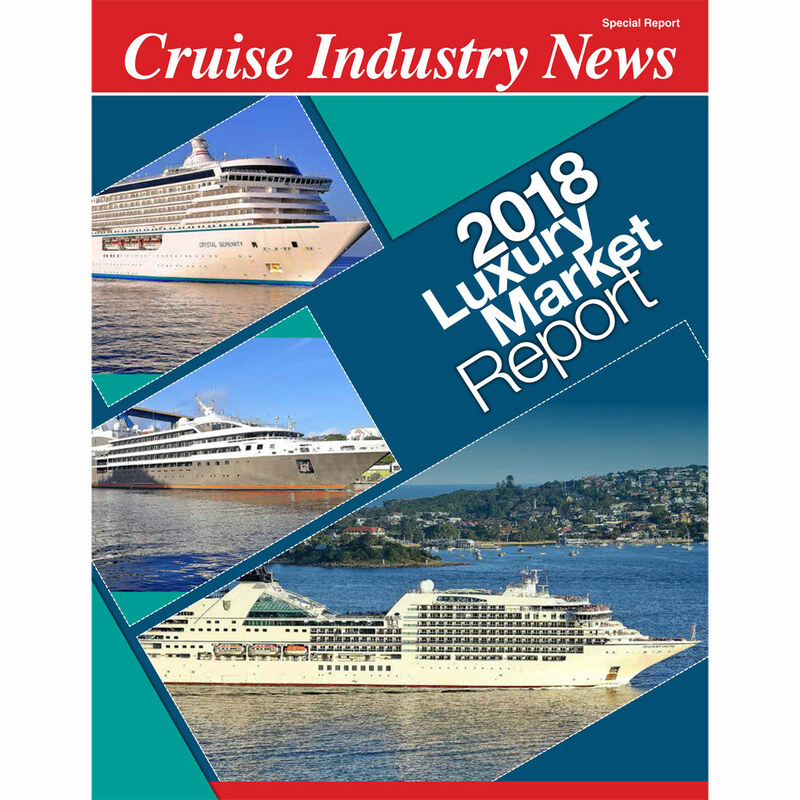 PDF report detailing the luxury cruise market, with market projections through 2027. 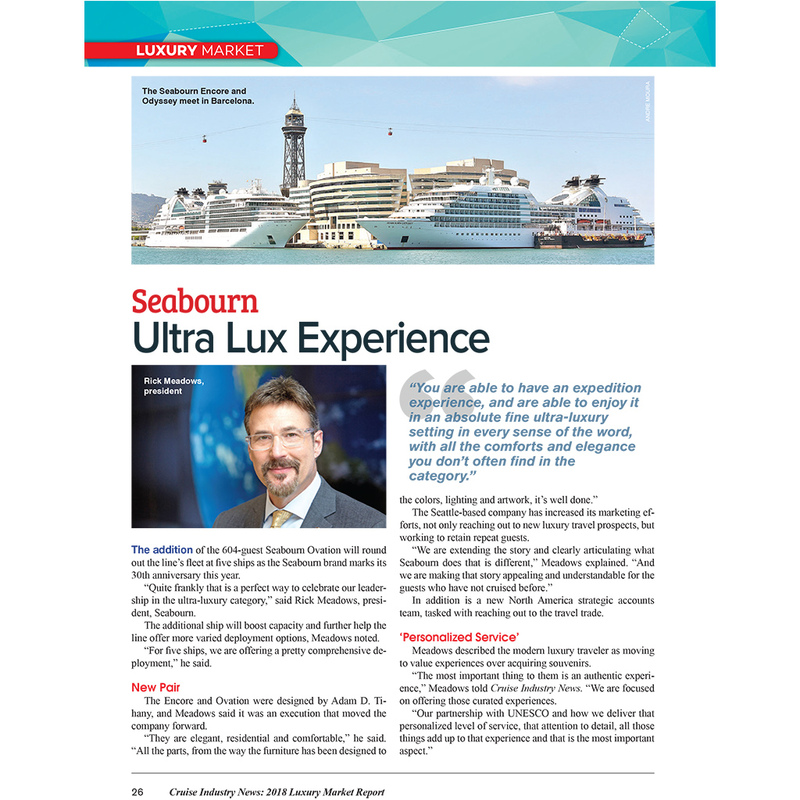 Complete insight into the luxury segment of the cruise industry. 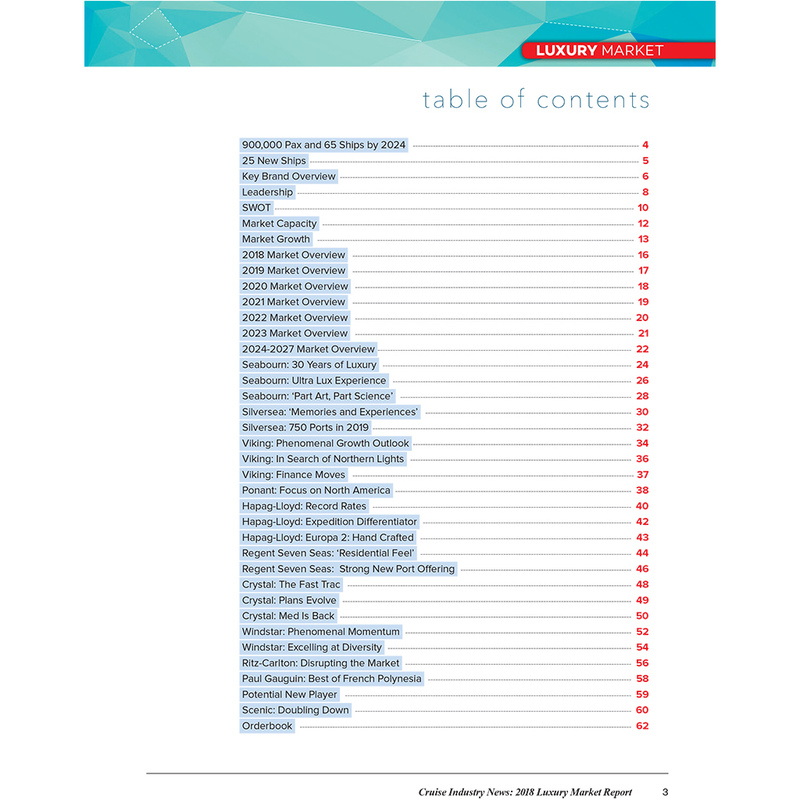 Also includes interviews with all the luxury brands on growth potential and how they set themselves apart in the market. 60 page report. 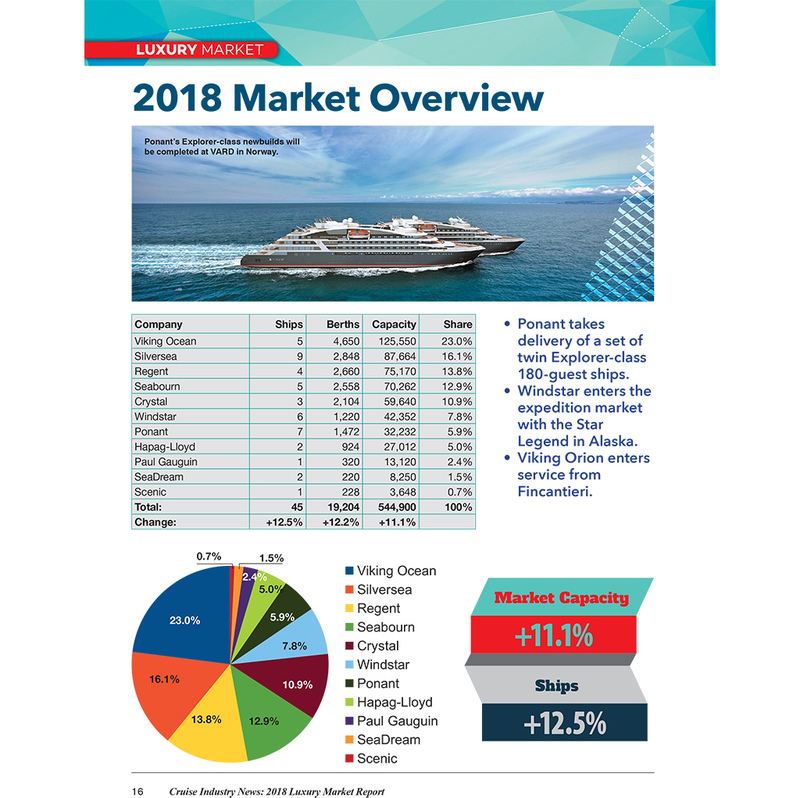 Full insight into the luxury cruise market, growth projections and the major operators. 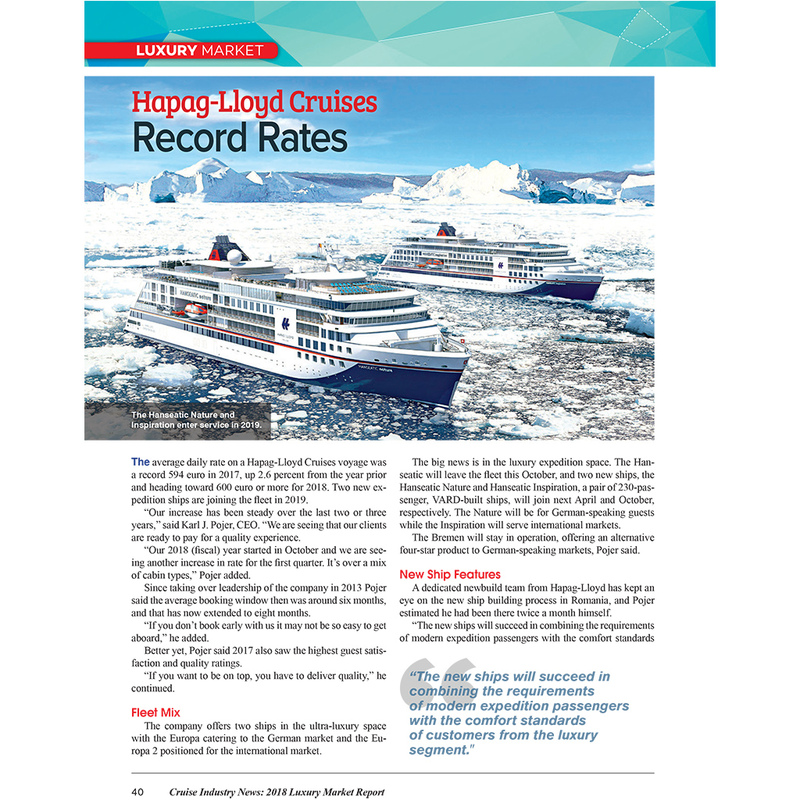 A look at growth in the luxury cruise segment through 2027, with key growth metrics and more. Independently researched data from 1992 through 2027. Interviews and company profiles of the leading and niche luxury lines. 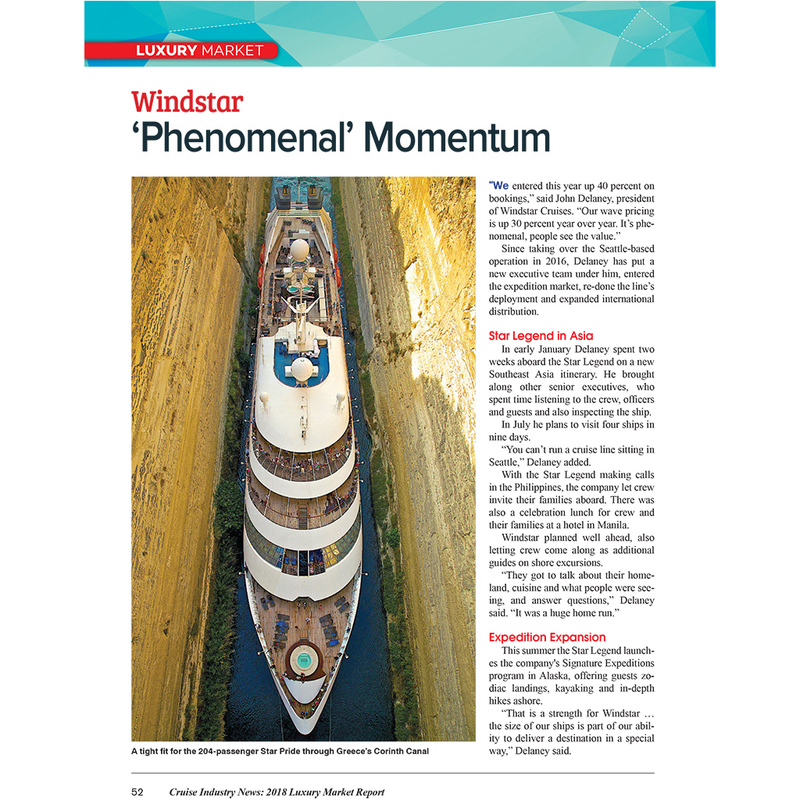 Companies profiled: Silversea, Crystal, Viking, Paul Gauguin, Seabourn, Ritz-Carlton, Regent, Hapag-Lloyd, Windstar and Ponant.